To most, it’s just a year that occurred a long time ago. To the Polish, it’s when the Germans took over the country with a Blitzkrieg. To classic movie fans, it’s a year like no other. Sure, there are several great films that came out from the 1920s to the 1950s. “Casablanca” came out in 1942. “White Christmas” lit up the screens in 1954. But neither of those years have a plethora of unforgettable movies that have a certain extra something added to them. “Gone with the Wind,” “The Wizard of Oz,” “Mr. 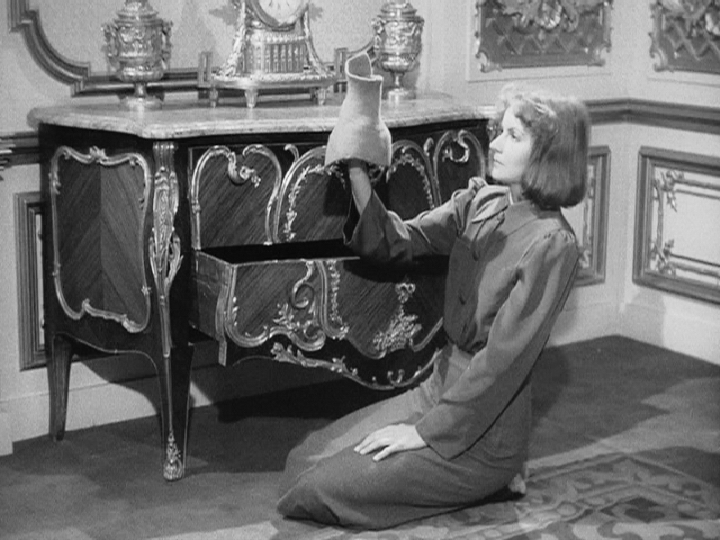 Smith Goes To Washington” and “Ninotchka” are all givens when listing off excellent, flawless 1939 films. But what about the other 515 American films put out in that same year? Were they just as good? I decided to find out. In a crazed moment last summer, I decided to try to see every movie made in 1939. I had two criteria to make it a little easier to find the movies: They must be full-length movies, no short films; they must be American and they cannot be from television (despite being early in TV’s history, there were already experiments with made for TV movies in 1939). I went on IMDB and got a full list of all the films from 1939. I clicked on each one, made sure it followed my requirements and then typed the title in alphabetical order into a table on Word. It took me several days to make my list due to my inefficient method. I was surprised to find that I had already seen 90 of the 515 movies. So far I have seen 106 and counting; this project won’t be completed any time soon. Through this process, I have discovered several gems during 1939 that are sometimes overshadowed by larger budget films. -“The Rains Came” has a fantastic scene during the flood when the whole city crashes down. -“Drums Along the Mohawk” gives Claudette Colbert the chance to be in a period film on the frontier and play alongside Henry Fonda. The movie looks fabulous in color. -“Everybody’s Hobby” is a lot of fun with Henry O’Neil being driven crazy by his family’s hobbies. -Freda Inescort gets the change to play a nice woman in “Beauty for Asking” with a young Lucille Ball. –The first “Maisie ” movie starring Ann Sothern premiered. I adore Maisie Revere and her adventures. They are hilarious but also usually have a good moral to them. Jean Harlow was originally supposed to be Maisie before her death. I could definitely see this, but love the spark that Ann offers. -Two Dr. Kildare movies come out this year. “Calling Dr. Kildare” and “The Secret of Dr. Kildare,” which were the 3rd and 4th films in the series. Laraine Day as Nurse Mary Lamont hops on board as a love interest to Jimmy Kildare. -Glenda Farrell and Jane Wyman finish off the “Torchy Blane” series with the last three films. -Jimmy Stewart had already made waves in “Of Human Hearts” but he really showed he had leading man power in “Mr. Smith Goes To Washington” and three other films that year. I could go on forever of the excellent movies (like Beau Geste, Of Mice and Men, and Real Glory) but no one wants to read 2000 words on a blog. According to the Turner Classic Movie documentary “1939,” 1939 was prolific for the United States in general. Roosevelt was helping the country work its way out of the Depression, and movies showed off this new wealth with stellar films. The industry began to take off for the next two years and then Pearl Harbor was attacked. I hope to discover more about the magic, and maybe see exactly what its source is when I complete all 515 films. It may be a large undertaking, but I don’t think it will be an unpleasant one. This entry was posted in Reviews and tagged 1939, movies in 1939 by Jnpickens. Bookmark the permalink. That’s an ambitious–but interesting–goal. I think it’s really cool, too. I enjoyed reading your observations. I agree that it is fun to explore the lesser known ‘greats’ of this golden year. I’m interested now in seeing the Maisie films. I wish the serials were better released today. The Maisie movies are great! I think you would really enjoy them. I’ll admit it is really ambitious, but we’ll see how far I get lol. You are very ambitious to undertake that goal. I’m wondering if you’ve found some of the lesser-known 1939 films a bit harder to track down? Good luck with your undertaking, Jessica. You have some good viewing ahead of you. That is an incredible goal you’ve set yourself. I’m also curious about what methods you’re using to track some of these films down. An ambitious project, and I’ll look forward to your observations. Your 1939 viewing marathon sounds like an amazing undertaking! I enjoyed your highlights of said famous film year. However, I don’t think that Hollywood never returned to the heights of pre-1940 again. The next decade produced its share of iconic films and introduced the world to film noir. Likewise, the 1950s gave us its colorful musicals and epics and the 1960s thrust moviegoers into New Wave cinema. My thought is there are classics in every decade…even if, as a year, 1939 was pretty special. I agree, I don’t think it ever returned to what it was after the war. Lots of good movies were made after WW2, but they were different. Good luck in your movie-viewing project – its sounds exhausting but blissful! I’ve really enjoyed participating in the 1939 blogathon and also getting a chance to read so many wonderful reviews on movies known and unknown – and I look forward to reading about your discoveries on 1939 when you finish your viewing project – thanks! I’ll try to keep everyone posted with any new 1939 discoveries I find. It’s going to be quite an adventure! More power to you! I look forward to your reviews. What an interesting idea, I also find it amazing that there were 3 hardy movies in one year, now a days you lucky to see a second movie in a series after one year. Good luck to my classic movie friend!!!!!!! Thanks Jeremy! 🙂 They sure pumped out those Hardy movies like you wouldn’t believe. Short, inexpensive to film and enjoyed by the public. Series today sure aren’t like that! Everything has to be huge! I wondered how you were going to do your choice of subject, and it was very unique and well-done. Your facts and trivia were fascinating! I have to mention particularly the Maisie movies and Dr. Kildare as well — I just LOVE those! Your list of discoveries was really entertaining and enlightening of things I didn’t know or realize. 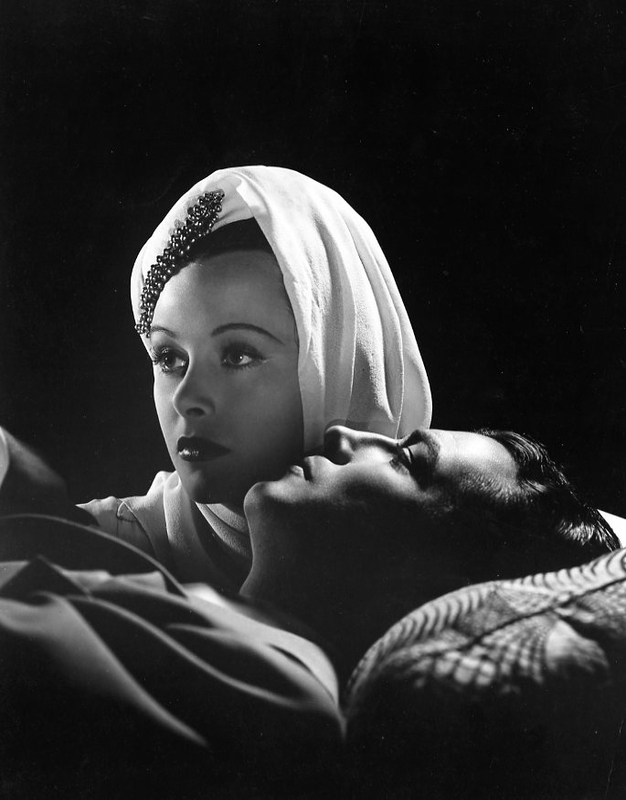 Great job, and a wonderful personal look at 1939 for the blogathon! I love Maisie and Dr. Kildare too! Once you finish seeing all of them in the series you get kinda sad lol. Thanks! I admire your ambition and patience in undertaking the films of 1939, all 519 titles. I also appreciate the poignant reminder that this was a year about more than Hollywood product. You observed that “no one wants to read 2000 words on a blog,” but I would be interested in reading regular installments on your quest to located and watch each film on your list (you might even have an idea for a book). Keep me up-to-date if you decide to run a series on the subject. Funny you mention that, part of the reason I started this project is so that I could maybe write a book one day. I’ll keep youposted! 519! Yikes. You are, indeed, a dedicated classic film fan. I’ll be checking back for your updates. Wishing you wonderful watching experiences as you explore the films of 1939. Good luck with your quest! I’m in awe of your undertaking this project. You’ve already seen an impressive number of the year’s film output–I seriously doubt I’ve seen even close to that many from ’39! Thank you! I was surprised I’d seen as many as I had, so you may be surprsied! Fantastic reminder of several of the forgotten films from the big year, thanks for writing it! I agree re: MGM, and I think that includes WB too, as I really think Turner’s spent a couple of decades making those films better known to modern audiences–I don’t think it’s any coincidence that the two titles you mentioned by way of comparison were both from Fox. They get play on Fox Movie Channel, but we don’t celebrate FMC like we do TCM! Love the idea of your project, love it so much I’m “unofficially” at work on the same thing for 1932 over the past year. I’ll just say, it ain’t easy! Why thank you 🙂 That’s very nice of you. I think it’s one of the most interesting years in Hollywood history and it was an honor to cover it. I know this dcomment might seem quite random, but it kinda relates: I did read that Hedy Lamarr was considered for Paulette Goddard’s part in the women. Interesting! I never knew that. They look similar and I love both but I think Paulette is better with the quick fire catty responses. Maisie! I always forget about Maisie until I see Ann Sothern in something else and just wish I were watching Maisie instead! Fun blog, by the way. PS When you finish watching all 515 of those movies, I certainly do want to read 2000 words. That gives you about 4 words a movie. I’m waiting with bated breath. Excellent post! I admire you for creating this goal for yourself! 1939 is my favourite year in terms of movies and two of the films released in that year remain my all-time favourites: Gone With the Wind and The Wizard of Oz. Hey Vanessa! Thanks for reading 🙂 It is a pretty heavy goal but it has been fun so far. Both of those are great favorites 🙂 I mean, how can many awesome films can be packed into one year?